Maybe I should just keep my blog-mouth quiet–or not? An observation: life is rough and too many people are feeling the weight of the world upon their shoulders. Though many people have had their lives turned upside-down in our country this week, the truth is, losses happen collectively all of the time. I am concerned that some people feel the need to be empathetic at such a level that they are in the pit. They watch news broadcasts, read the latest, and tune in to the bad news of the hour. We need empathy–of course. But, really, everyday in our country we lose an estimated 1,500 people to cancer, 1,640 people die a day of heart disease, about 89 people die in auto accidents each and every day. (I wish these facts were skewed.) Hard realities to live in. Tough stuff happens. What can we do about it? I feel like I can say this. I got my learners permit in the tough grief of losing my husband Gary last year. I want(ed) everyone to remember Gary, to care about my kids–and me, too. But, you want to know what was heartbreaking? When I’d talk to someone and they had long been carrying my grief on top of their own. That broke my heart. They did it out of solidarity and love. But, I didn’t (don’t) want anyone to hurt as bad as I was (and sometimes still do)! And this brings me to the condition of those who are downcast out of respect and empathy this week for those in Boston and in West, Texas. Be sad for them, help if possible, but don’t carry the weight of their pain on top of your own. It robs those around you and immobilizes you. Maybe there is someone you can do something nice for–a little old neighbor lady. Maybe you can play with your kids, or grandkids, donate to a charity, send a card, an email, do something constructive…or, maybe you can take time to see the beauty all around you, or possibly allow intrigue to captivate your thoughts and consider the odd art of a brilliant man. 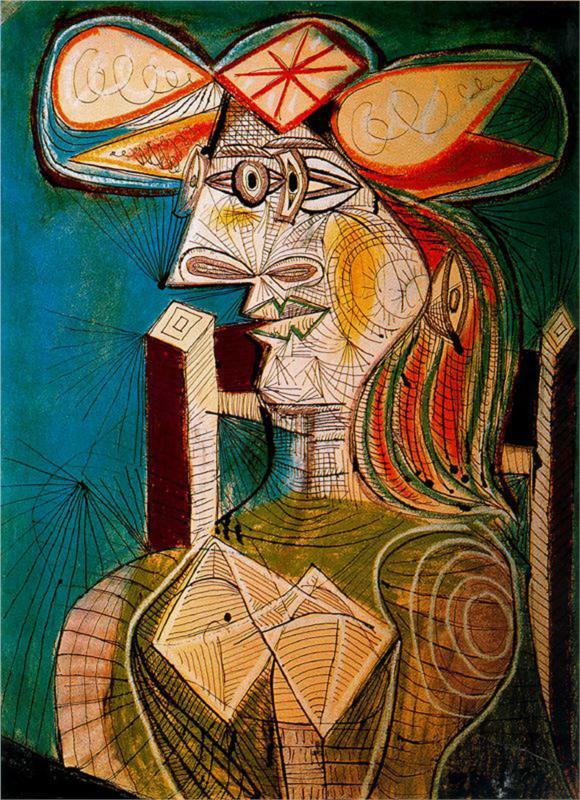 What do you think of this Picasso piece?